WHAT’S YOUR IDEAL PLAYOFF FORMAT? IAN SHEPPARD: I honestly have no complaints with the current format. I didn’t hate the old one either with the traditional one through eight match ups. But I just don’t see too many issues with the current format. Sure you get some of the better matchups done and over with early with first-round divisional series. I don’t mind having the divisional matchups early in the playoffs. You’re always guaranteed to get the rival series this way even if they are earlier in the playoffs. 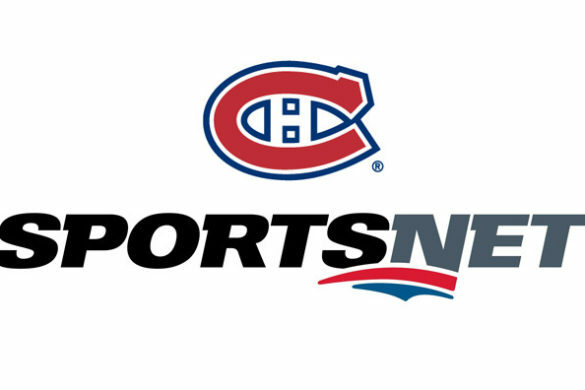 I haven’t found the quality of hockey or experience of the playoffs diminish since the change. WYATT ZIEGER: 1-16 would be unique but travel completely shuts that idea down. I’d like to see the old 1-8 format return but with a play-in game like baseball for the last wildcard spot in each conference. Having the 8 and 9 teams play each other for the last spot would increase competition because fewer teams would tank with an additional spot. 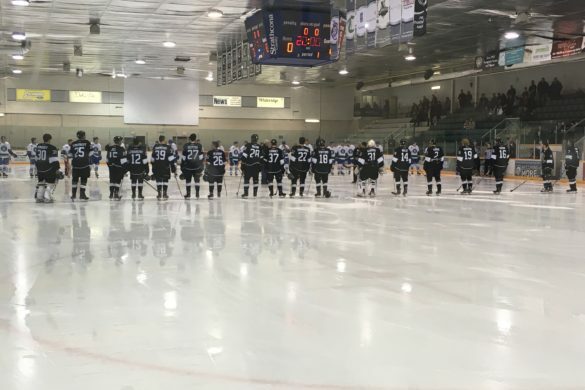 TYLER YAREMCHUK: With modern day travel and how luxurious these teams live on the road, travel isn’t the issue with a 1-16 format, it’s time zones. It would be very unfiar to make a #1 seeded Tampa Bay Lightning team travel to the Pacific time zone. That would be a brutal way to start the playoffs especially considering the NHL works their series on a 2-2-1-1-1 instead of a 2-3-2 system for travel. I like the idea of 1-8, but honestly, the best part of the playoffs is the first and second rounds so why not put the best matchups there and let it set the tone for the rest of the playoffs. I say leave things alone for a few more years. 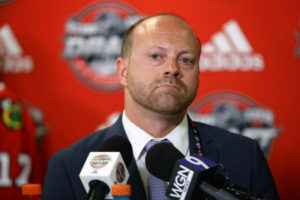 IF YOU COULD PRESENT ONE CHANGE TO THE NHL GM’S, WHAT WOULD IT BE? IAN SHEPPARD: I don’t know if I would pitch changes in terms of rules but I much like everyone else would like to see something done regarding officiating and player safety. Compare to some sports the NHL is well behind the mark in terms of protecting its players with consistency. In the NFL if a player is hit in the head and shows even the slightest sign of concussion he is immediately taken out of the game. I draw back to an incident in a game between the Coyotes and Oilers when Conor Garland had his helmet pushed back before taking the puck off his unprotected head and into the net. 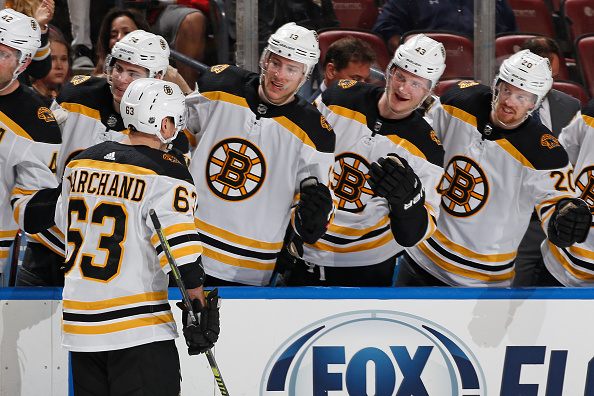 Garland was not only celebrated for a unique goal but remained in the game to score another goal. 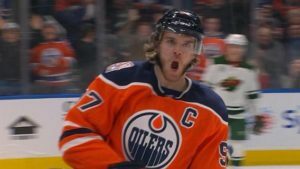 I’m not being a bitter Oilers fan here, just feel that in an instant like there’s no way a player should remain in the game after something like that. That’s just one instance where I feel the NHL mishandled player safety and I think it’s something that needs to be addressed. 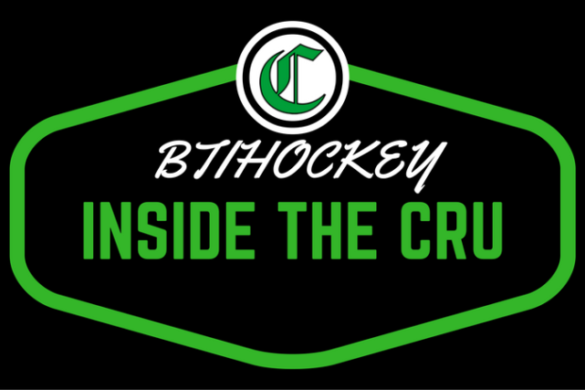 WYATT ZIEGER: I know hockey fans hate major changes to the game so I’ll stay away from making the net bigger or giving teams the option of a penalty shot instead of a power play. Instead, I’d like to see the point format change. I propose; 3 points for a regulation win, 2 for an overtime win, 1 for an OT loss, 1 for a shootout win and 0 for a shootout loss. Giving more points for regulation wins would entice teams not to sit back late in tie games and would drive even more offense into overtime. It would also weed out teams that survive in the standings thanks to losses in extra time. TYLER YAREMCHUK: I agree with Wyatt in the sense that I don’t think there’s an appetite for a massive change, so I will propose this: double up 3v3 OT. Make it ten minutes. At first, there was concern about how the players would handle it, but I think those have been erased by people in the game. Making it longer would also benefit teams with deeper, more skilled lineups since that’s what 3v3 is all about. More exciting OT and less dull shootouts, please! 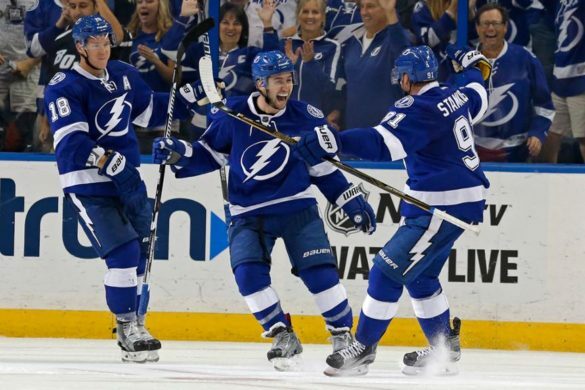 WHO SHOULD THE LIGHTNING BE HOPING TO PLAY IN ROUND ONE? IAN SHEPPARD: As it sits right now I think Montreal. If they were to stay in that last Wild Card spot, would be the obvious choice for an ideal matchup for the Lightning but I think if I’m Tampa I’m pulling for Columbus to make a push. I think Carolina is hot so if they drop a spot they would not be a team worth facing while Pittsburgh with it’s deep playoff pedigree could be scary. Columbus is a team I think doesn’t really know what it wants. They went out and made some huge acquisitions in an attempt to win now. I just don’t think they would anywhere near capable of being ready for a powerhouse like Tampa especially after having to fight to get into the playoffs. WYATT ZIEGER: If you want a fair matchup and someone that will actually give Tampa Bay a run for their money its gotta be Pittsburgh. They have all the playoff experience necessary and the best player in the world but they need to make the dance first. If the Lightning take on the Penguins in the 1st round and get bounced it will be an extremely disappointing season for Tampa and create great parity for the NHL. TYLER YAREMCHUK: They should be hoping that the Carolina Hurricanes grab the last playoff spot. Aside from Justin Williams, they’re largely inexperienced when it comes to the playoffs. I don’t trust their goaltending situation either. 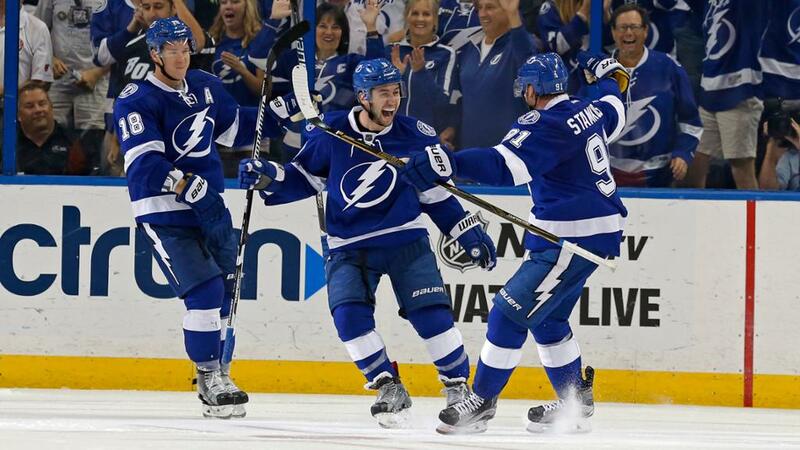 That’s a bad recipe for playoff sucess and I think the Lightning would throttle them. There are ten players on pace for 50 goals, how many will actually hit it? TYLER YAREMCHUK: Alex Ovechkin appears to be a lock at this point. He’s on pace for over 60 goals, so I can’t see him cooling off too much. Patrik Laine, Jeff Skinner, David Pastrnak, Brayden Point, Joe Pavelski, Sean Monohan, and Nathan MacKinnon all have 20+ right now. I think Laine, Skinner, Pastrnak, Point, and MacKinnon could all realistically do it. MacKinnon is only shooting 15% too, this is very sustainable. Keep an eye out for Connor McDavid and Auston Matthews as well. Matthews was hurt and if he’s healthy, could torch the league in the second half and I would never bet against McDavid to do anything. I could see as many as eight players hit the 50 goal plateau. WYATT ZIEGER: It’s crazy to think the last two seasons we’ve had zero players score 50 goals and this year we could have three. Ovechkin leads the way in goals right now in the NHL with 25 goals in just 30 games. That puts him on pace to have 68 goals this year. While I believe that is unrealistic, at this rate Ovi only needs 25 more goals in 52 more games, highly achievable. Laine, currently tied for second in goal scoring, is a Gino Machino. 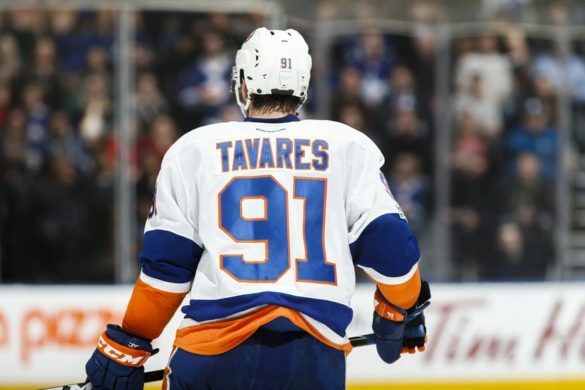 His 21 goals to 6 assists is the highest goal to assist ratio in the NHL among players with 10 or more goals. Laine’s production has slowed in comparison too November when he scored three hat tricks, including a 5 goal game. Currently on a six-game goalless drought look for that to turn around sooner than later and for him to surpass his career high of 44 goals. Last but certainly not least, Nathan Mackinnon. After scoring 97 points last season and finishing as runner-up for the Hart trophy last year you had to wonder what Mackinnon was going to do next. Answer: Come back even stronger. To date, Mackinnon is on pace for 52 goals and 125 points. Like Ovi’s 68 goals, those point totals may not be sustainable but I wouldn’t count him out to have his first 50 goal campaign. Not only is Mackinnon a horse but he is a part of what might be the best line in hockey; Landeskog – Mackinnon – Rantanen. All three are in the top 10 in scoring, Mackinnon second to only Rantanen. With those linemates and his determination expect Mackinnon to get over the 50 goal hump. IAN SHEPPARD: I believe there are only three players in the top ten right now who could legitimately reach 50 goals this season. Alex Ovechkin has reached the 50-goal mark seven times in his career and is already halfway there this season with 52 games left to be played. Patrik Laine has yet to hit 50 in his career but came close last year with 44. He currently sits at 21 and his rocket of a shot should net him another 29. And finally, Nathan MacKinnon, who the closest he’s come to 50 was 39 goals last year. MacKinnon has 20 through 31 games this year but with the assist-master Mikko Rantanen on his wing, MacKinnon will hit 50 goals for the first time in his career this year. Lots of rumours swirling around the St. Louis Blues, who is most likely to get moved? TYLER YAREMCHUK: Doug Armstrong is a very bold General Manager, but I’m not sure we see any of their big names moves this season. They all come with big cap-hits and have term, so I’m not sure how many contending teams could realistically squeeze them in unless the Blues take back a contract which I’ve heard they aren’t keen on doing. Out of the big names, I think Colton Parayko has the best chance to be moved on. There will be no shortage of teams willing to pay a hefty price for the 25-year-old right shot defender and if the Blues create a bidding war, they could get an offer they can’t refuse. 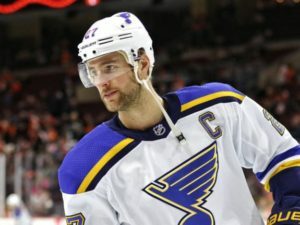 WYATT ZIEGER: Sad times in St.Louis, a huge offseason saw them acquire Ryan O’Reilly from Buffalo but that hasn’t panned out the way they hoped. Now the Blues are going to have a garage sale on all their best players and for my money, the first person to go is going to be Colton Parayko. Parayko is a stud on defense and has shown plenty of offensive upside in the past. Teams will be kicking tires on him for sure but he won’t be the last piece to move. IAN SHEPPARD: Two names come to mind on this topic. Patrick Maroon and Jay Bouwmeester. Not because of trade value but because both are UFA’s at the end of the season and make over $8 million this season combined. Could be good pieces to move by or before the deadline. I don’t see them moving pillar pieces like Vladimir Tarasenko or Colton Parayko, but Alexander Steen or David Perron are also veterans that could be moved to free cap space. Over the next three seasons, Steen is said to make $5.75 million while Perron will come with a $4million cap hit over four years. Out of the teams currently not in a playoff spot, who is most likely to make the big dance? TYLER YAREMCHUK: The Eastern Conference does not look very good to me. The Penguins are the only team outside of the playoffs that I could see making the playoffs, so they’ll be my answer from there. Out West, I like Dallas and Minnesota, but I’ll give the edge to the Stars. I love their high-end offensive weapons and I’m excited to see what their blueline looks like once they’re 100% healthy. Miro Heiskanen has been a sensation as well. Just looks so smooth and calm. Hard to believe he’s a rookie. Ben Bishop needs to stay healthy as well, but I think the Stars could be a playoff team. As far as who could miss? I’m not a big believer in the aging Anaheim Ducks. WYATT ZIEGER: The Easy answer is Pittsburgh because its the obvious answer. The Penguins haven’t missed the playoffs in 9 years and don’t expect that trend to drop off. If I had to guess, the Islanders are the team that ends up falling off and giving Pittsburgh a chance to slide back in. They are currently tied in points with NYI but with fewer wins, they are on the outside looking in. IAN SHEPPARD: Pittsburgh Penguins. The Pens currently sit three points out of the final Wild Card spot in the East. 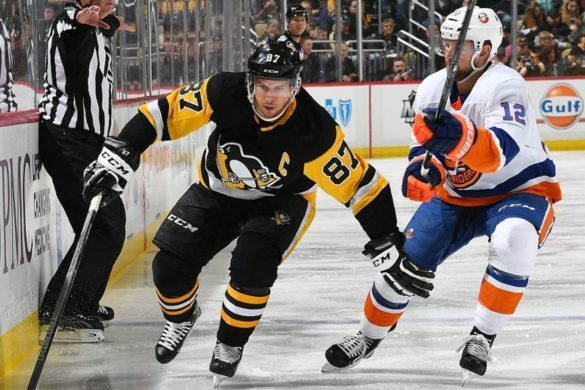 Pittsburgh has been in this position before and come through and the veteran leadership of Sidney Crosby, Evgeny Malkin and Phil Kessel this team will find a way to make it back to the postseason. 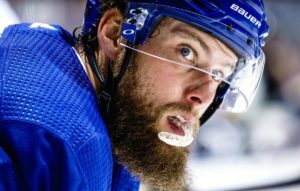 Now there have been rumours that the team may be moving some pieces like Kessel, while goaltending has been a question mark at times for them this year, but I still believe this team finds a way. They always do. Day 26 of the Stanley Cup Playoffs had less scoring than the last few, but the Conference Finals picture is getting a whole lot clearer. After Monday night only one second-round series remains with Washington finally getting over that hump. After taking a 3-2 series lead after Game 5, the Caps were looking to finally get that monkey off their backs and make it past the Pittsburgh Penguins and to the Eastern Conference Final. It was an even match-up, especially early with identical shot totals. Through two periods of play, each team had a total of 15 shots on net. The Caps were getting a tremendous showing by goaltender Braden Holtby early, as Pittsburgh had a scoring chance after scoring chance that the Washington netminder turned aside. Holtby stopped all but one of those 15 shots through the first two periods. In fact, the goal the Penguins scored in the second proved to be their only goal of the game. Washington would score first with Alex Chiasson netting his first of the playoffs. 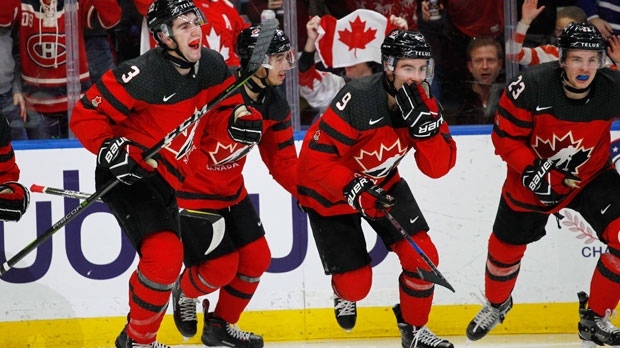 Australian-born Nathan Walker took the puck around the net and fed it back out in front to Chiasson at the face-off dot who snuck it past Matt Murray’s arm and the goal-post for a 1-0 lead. The Penguins would tie the game with eight minutes left in the second period. Kris Letang would score his third of the postseason off the face-off. The puck made its way back to the blue-line where Letang one-timed a shot that deflected off a Capitals defender and past Holtby to tie the game at one. Washington turned up the pressure in the third period outshooting Pittsburgh 9-5. 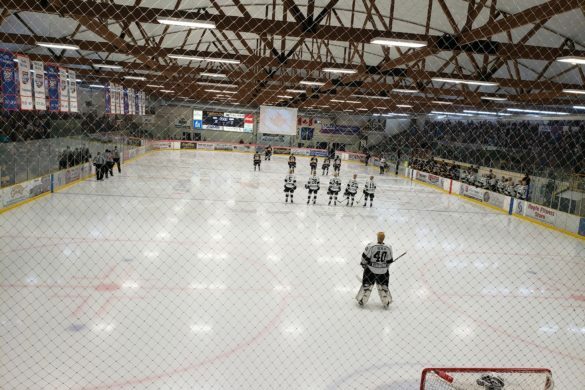 Neither team was able to score, however, and the game went into overtime. The Capitals kept that pressure up in OT, again out-shooting the Penguins, this time by a count of 6-2. A little over five minutes into the extra-frame the Capitals did something they have yet to do. Alex Ovechkin took the puck up the middle and dished a beautiful pass between two Penguins defenders to Evgeny Kuznetsov, who skated alone on a breakaway and deked Murray right then left before sliding the puck under the Penguin goaltender’s left leg and into the net. The Capitals played a hard-fought series that at times looked like they were in for more of the same old. However, they were able to bear down and pull out two straight wins in Game’s 5 and 6 to finally get the monkey off their backs and eliminate the Penguins. To the defending champs – what an amazing run. Washington will finally make an appearance in the Eastern Conference Final where they will take on the Tampa Bay Lightning. This should make for an exciting series with both teams having talented, speedy forwards and elite goaltenders. 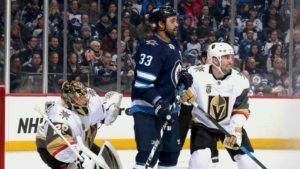 After winning Game 5 handily, by a score of 6-2, Winnipeg looked to eliminate the Predators on Monday night and move onto the Western Conference Final to take on the Vegas Golden Knights. 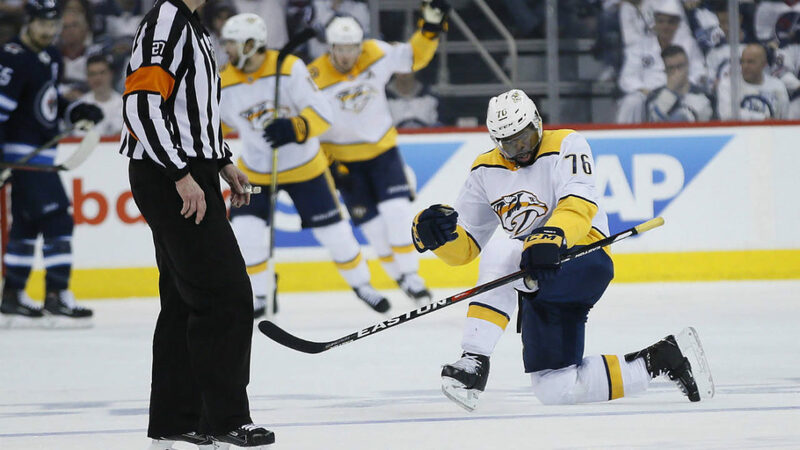 Amidst the wishes of Winnipeg and a near 17,000 screaming Jets fans, the Preds had other plans to send the series back to Nashville tied at three. This game much like the previous one even regarded shot totals. After two periods the Jets outshot Nashville 29-27, with the final shot differential being 34-29 in favour of Winnipeg. However, Nashville was able to find a way to beat Connor Hellebyuck, and the got solid play from goaltender Pekka Rinne. Rinne stopped all 34 shots he faced Monday night for his fifth career playoff shutout. 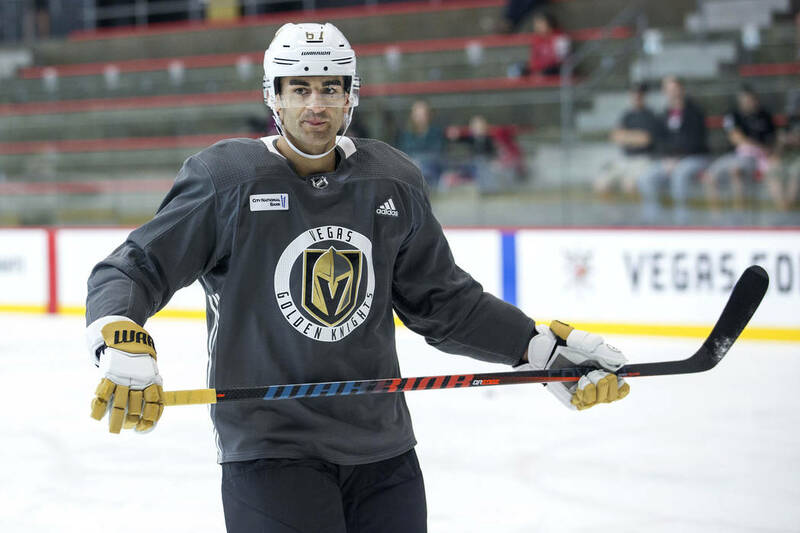 His performance was especially impressive after he gave up six goals on Saturday night before being pulled and replaced with Juuse Saros. Nashville took no time to get on the board first, as they scored a minute into the game. Roman Josi slapped a shot from the blue-line, and Viktor Arvidsson deflected the puck past Hellebyuck for an early 1-0 lead. The goal was immediately waived off as a high-stick infraction but after the review was overturned and counted as a good goal. The Predators would add to their lead in the second period. Craig Smith cleared the puck out his zone, with Filip Forsberg catching up to it at the Jets blue-line. Forsberg took the puck to the net after getting position on Ben Chiarot. While driving to the net Forsberg buried it past Hellebyuck’s glove, before being taken down by the Jets defender for a 2-0 lead. Forsberg would score his second of the game and his seventh of the playoffs in the third period to put the final nail in the coffin for Game 6. Viktor Arvidsson would take the puck around the net and throw it into the slot to Forsberg, who put it between his legs and snuck it through the arm of Hellebyuck for a 3-0 lead. Nashville would add an empty-netter for a final score of 4-0 forcing a Game 7, sending Jets fans home disappointed. The key to this win was the play of Rinne bouncing back from a subpar performance in Game 5. With no team in this series winning back-to-back games putting in a solid performance like this was and will be key in Nashville returning to the Conference Final. The final game of the second round will take place Thursday night at the Bridgestone Arena. Puck drop is at 6 p.m. MT. 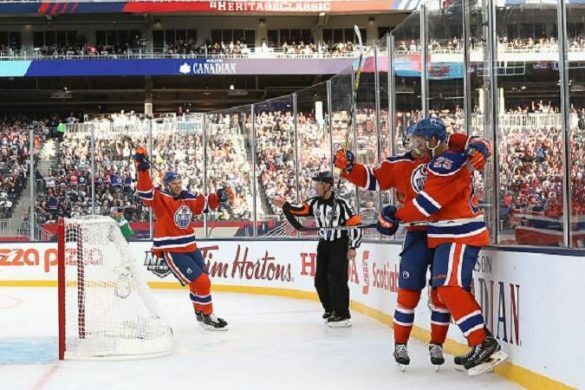 Day 24 of the Stanley Cup Playoffs held two of the more exciting games of the Playoffs so far. With a total of 17 goals between both games and the Capitals and Jets coming within one win of reaching the third round, things are really heating up in the 2018 postseason. The Penguins came into Game 5 with the Playoffs leading scorer in Jake Guentzel coming off a two-goal game in Game 4. Guentzel has totalled 21 points in the playoffs (10G-11A) and has been magnificent paired with Sidney Crosby on the first line. It was also the second game for Washington without Tom Wilson after his three-game suspension from the hit he made on Zach Aston-Reese in Game 3. It didn’t take long for Pittsburgh to get out to a hot start. First Matt Murray completely robbed Alex Ovechkin point blank in the slot. Then the Penguins netted the first goal of the game. Less than three minutes left in the first period Jamie Oleksiak blasted a shot from the point past Braden Holtby for the 1-0 lead. It was Oleksiak’s first goal of the playoffs. Washington would tie the game at one with less than two minutes left in the opening frame. The Penguins gave John Carlson too much time with the puck on the blue-line as he set up centre-ice and blasted a shot past Murray. The Capitals would take the lead 38 seconds later. Off the face-off to the right of Murray, Brett Connolly snapped a shot on net and off a defender and into the back of the net for a 2-1 lead going into the second period. The Penguins would net two quick goals of their own in the second period. 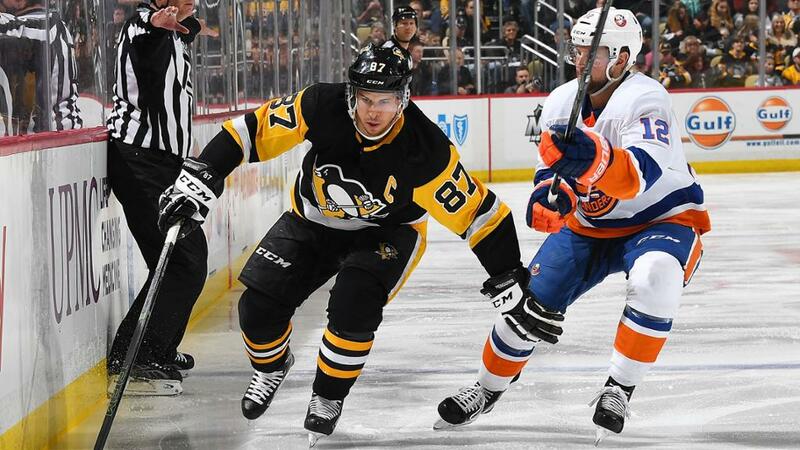 Sidney Crosby would add to his playoff goal total, scoring his ninth of the postseason, deflecting a shot from Phil Kessel off the half-wall on the powerplay. The league’s best powerplay struck again a few minutes later. Patric Hornqvist would score his fifth to give Pittsburgh the one goal lead. Hornqvist would jam the puck between the legs of Holtby off his own rebound. Braden Holtby held his own in the second period however, despite giving up two goals to the Penguins. Holtby took on a barrage of shots thrown at him in the middle frame with Pittsburgh out-shooting Washington 16-5. Washington should have gone into the third period down more than just one goal. The Capitals would tie the game less than a minute into the third period however. Jakub Vrana would set up Evgeny Kuznetsov with a pass through the neutral zone, catching the Penguins defense on a change, sending Kuznetsov wide-open on a breakaway, where he deked Murray and slid the backhand through the five-hole for his sixth goal. The Caps weren’t done there as they added their fourth goal of the game with 4:38 left in the game. After another outstanding stop by Holtby, Washington caught Pittsburgh with odd numbers. Alex Ovechkin took off with Jakub Vrana and Ovechkin took the puck to the left of Murray then threw it back to Vrana waiting in front of the net for his second of the playoffs and the late 4-3 Caps lead. TJ Oshie and Lars Eller would both add empty netters to seal the deal for Washington and a 6-3 victory. Braden Holtby was outstanding in this game stopping 36 of 39 shots and kept Washington alive when it mattered most. The Caps now take a 3-2 series lead and can finally get over the hump of eliminating the Penguins on Monday night at 5 p.m. MT from the PPG Paints Arena in Pittsburgh. Holy smokes… There's no stopping KC! 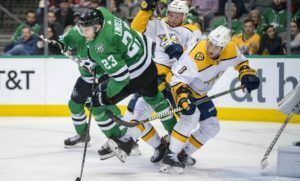 After Nashville played a defensive game on Thursday night, with Pekka Rinne stopping 32 of 33 shots, on their way to a 2-1 win and a series tie, they were looking to move one step away from returning to the Western Conference Final. Winnipeg was not going to make it easy in Game 5 and started out hungry, but Nashville brought the pressure late in the first period taking momentum into the second. Despite that momentum, the Jets would strike first at the 12:16 mark of the second period. Paul Stastny posted up in front of the Predators net as Patrik Laine sniped a shot on net, deflecting off Stastny and in for his fourth of the playoffs. Nashville would tie the game just over three minutes later, off a Winnipeg turnover. Yannick Weber took the puck skated up ice and roofed it top corner over the glove of Connor Hellebyuck. The offense did not stop there, as it only took 1:21 for Winnipeg to take a 2-1 lead. Kyle Connor joined two of his teammates down low in the crease and buried his own rebound over the right pad of Rinne after being stopped on his first attempt. The Jets put on a clinic, tiring out the Predators and jumping on loose pucks. Again, a group of white jerseys piled around Rinne and chipped away until the puck found it’s way to Dustin Byfuglien who blasted it through four Nashville defenders and into the net for a 3-1 Jets lead. Winnipeg would not be stopped, and neither would Kyle Connor. After another turnover, Dustin Byfuglien kept the puck in the Preds zone and made a pass to Blake Wheeler down low, who dished it back into the slot to Connor who netted not only his second of the game but the playoffs. The goal total for the second period reached six, this time with Nashville cutting the Winnipeg lead in half. 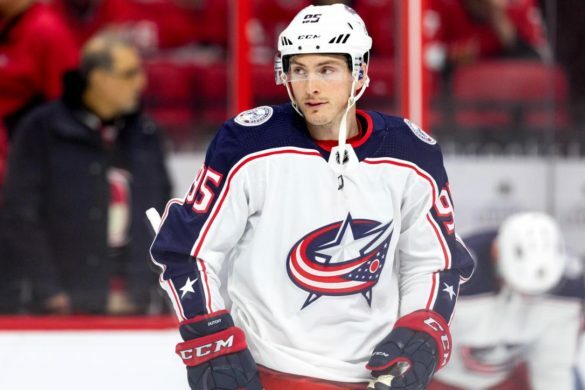 While short-handed Ryan Johansen and Colton Sissons broke out on a two-on-one with Johansen opting to shoot and the puck, bouncing it through the arm of Hellebyuck and into the net. The Jets wasted no time pulling ahead by three goals again. Kyle Connor added to his point total on the night (2G-1A) 28 seconds into the second period, driving into the zone with Ryan Johansen playing defense. Connor dangled the puck between his own legs and sent a pass to Mark Scheifele who scored his ninth of the playoffs for a 5-2 Jets lead. Pekka Rinne’s rough night continued as Mathieu Perreault scored in his first game since Game 1 of the first round. The goal chased Rinne from the net for the third time in the playoffs in favour of Juuse Saros. Connor Hellebyuck had another great performance for the Jets stopping 38 of 40 shots, but Winnipeg’s offensive explosion was too much for Nashville. The first line of Connor, Scheifele and Wheeler combined for 8 points in Game 5. The Jets look to continue their powerhouse play heading back home, being one win away from the Western Conference Final. But expect the defending Conference Champs to be ready to go come Monday night at 7:30 p.m. MT. 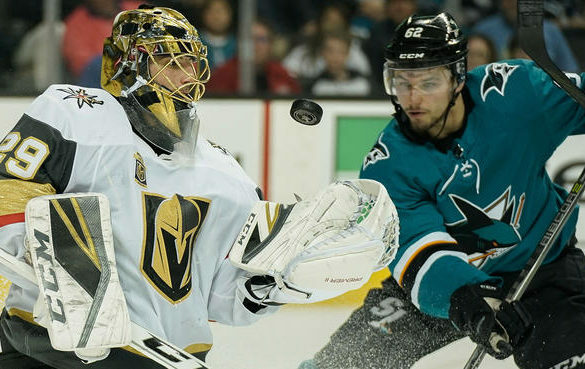 Day 22 of the Stanley Cup playoffs may not have been filled with goals, but we sure got to see some fantastic goaltending on display. Day 20 of the Stanley Cup Playoffs was full of scoring with a total of 18 goals being scored between both games. 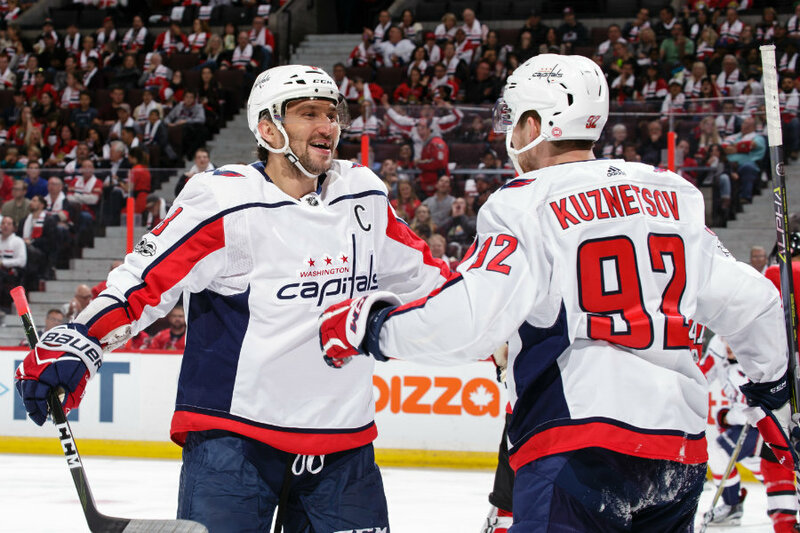 The Capitals and Jets took series leads respectively, in night filled with exciting offense. All four teams showcased why they are considered the best in the league and these series are in the middle of heating up. After a first two games that were relatively even seeing both teams split wins, Game 3 was set to be an intriguing match-up. This series has all the makings to be a classic Penguins-Capitals playoff series. The first period was a mostly defensive one with no scoring. Pittsburgh out shot Washington 9-7 and there were a total of five penalties in the scoreless opening frame. However, the scoring drought would not last long. Washington would take an early lead 48 seconds into the second period. Starting the period on the man-advantage, John Carlson blasted a shot from the point and past Matt Murray for the early lead. The Penguins would tie the game at one, less than four minutes later with Jake Guentzel scoring his eighth goal of the playoffs. 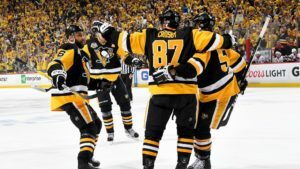 Sidney Crosby would tally his 180th career playoff point with an assist on the play. That assist ties Crosby with Ray Bourque for 13th on the all-time playoff points list. A few minutes later the Penguins would capitalize on the man-advantage with Evgeni Malkin making a great read and moving past the defender down low to make a great pass to Patric Hornqvist who buried it past Braden Holtby and a 2-1 Pittsburgh lead. Things got nasty in the second with Tom Wilson hitting Zach Aston-Reese up high and in the head area. There was no call on the ice at the dismay of the Penguins crowd. Shortly after the hit the Capitals would tie the game. They kept the play alive in the Penguins zone and Nicklas Backstrom took the puck away from Jamie Oleksiak. He then set up Chandler Stephenson in the slot, who sniped it in the net to tie the game at two. Crosby would add to his point total with a goal to take the 3-2 Penguins lead. Jake Guentzel would dangle his way through three Washington defenders to set up the captain cross-ice to snipe it past Holtby. We’re now accepting students for the Jake Guentzel School of Dangles. Washington would add to the back and fourth scoring with Matt Niskanen scoring his first of the playoffs five minutes into the final period. Niskanen one-timed a pass from Dmitry Orlov from the blue-line that deflected off of the pad of Matt Murray and over his shoulder into the net. The Capitals would take the lead with just over a minute left in the game. Nicklas Backstrom broke out on a 2-on-1 with Alex Ovechkin and set up the Great Eight with a pass past the sprawling defender. The captain buried the shot to take a 4-3 lead with his eighth of the playoffs sealing the deal for Washington. The Capitals are now slowly taking some momentum in the series winning two in a row. The series shifts to Pittsburgh just as it’s about to heat up. The shot totals in this game were exactly even with both teams notching 22 shots a piece. Game 4 from the PPG Paints Arena in Pittsburgh will take place Thursday night at 5 p.m. MT. After a Game 1 where Connor Hellebyuck stole the show and a Game 2 where the Jets fought their way back into a game that was well under control by Nashville, only to lose in OT, things shifted to Winnipeg for Game 3 and looked to both teams looked to be reaching their boiling points. Nashville struck first with freshly returned Mike Fisher knocking in a loose puck five minutes into the period. Mattias Ekholm wristed a shot on net that was tipped by Ryan Hartman and snuck through the pads of Hellebyuck, leaving Fisher available to clean up the loose puck. Five minutes later the Predators would add to their lead, on the powerplay. After Blake Wheeler took a tripping penalty, PK Subban one-timed a shot from the top of the face-off circle that trickled it’s way through the five-hole of Hellebyuck and into the net for a 2-0 Nashville lead. Nashville would then capitalize on a Winnipeg mistake, leading to a 3-0 lead. The Jets tried not getting caught with too many men on the ice but it resulted in an uneven change. Austin Watson ended up on a one on one in the Jets zone and sniped a shot past Hellebyuck for his fifth goal of the playoffs. The Jets would finally get on the board in the second period. Jacob Trouba would send a shot on net from the blue-line and Paul Stastny would deflect the puck past Pekka Rinne. There was a delayed call on the goal and that from one angle looked like Stastny may have kicked the puck. The goal would stand however as Winnipeg’s first of the game. Winnipeg would continue to claw their way back into it. On a 4-on-4, Dustin Byfuglien would hammer his second of the playoffs home, to bring the Jets within one goal. Another goal came 18 seconds later and the game would be tied at three. Blake Wheeler would send a pass to Jacob Trouba who roofed it over Rinne’s pad to tie the game. The Jets would then take the lead with less than a minute left in the second period. Patrik Laine sent a cross-ice pass from one face-off circle to the other, setting up Byfuglien to score his second of the game for a 4-3 lead. The Predators weren’t going down easy. They would tie the game at four with 12 minutes left in the game. On the powerplay Filip Forsberg took the puck around the face-off circle and sniped a shot on net which found its way in for his fifth of the playoffs. PK Subban took a high-sticking penalty with five minutes left and the Jets took advantage of the powerplay. Blake Wheeler cleaned up a rebound to the left of Rinne to take a 5-4 lead late in the game. That would prove to be enough for Winnipeg. Wheeler would score his second of the game (his first two-goal playoff game) on the empty net, then Brandon Tanev would do the same to seal the deal with less than a minute left. The Jets peppered Rinne with shots, finishing with a total of 42. If they can keep up that same caliber of offense throughout the series they will have a good shot of moving on. Rinne has had a rough three games in this series giving up a total of 15 goals so far. Nashville will need much better from their Vezina nominee if they expect to have a chance. Game 4 from the MTS Place is on Thursday at 7:30 p.m. MT.